2008. Part of the Brooklands track. 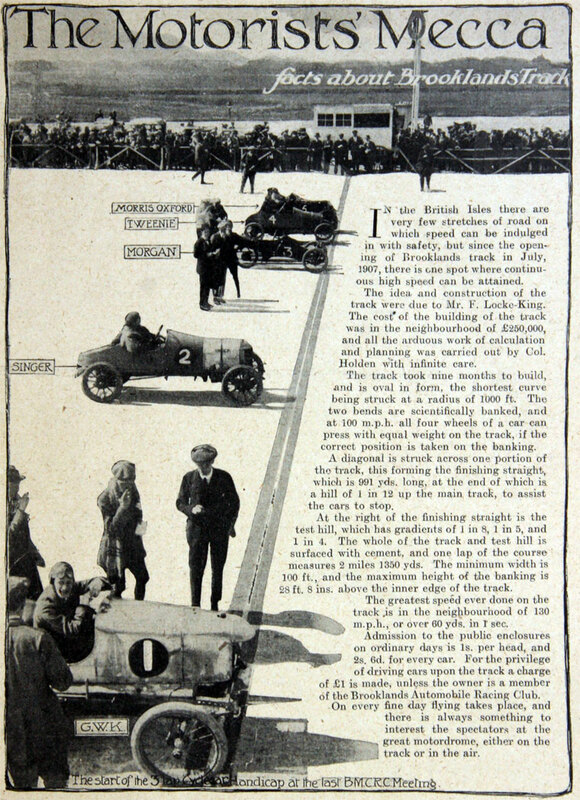 The Brooklands circuit was the brainchild of Hugh Fortescue Locke King, and was opened on 17 June 1907 as the first purpose-built banked motor race circuit in the world. Located in Surrey, Brooklands was the site of many aeronautical and motoring milestones during the first half of the 20th century; it was a predecessor of the Formula One. 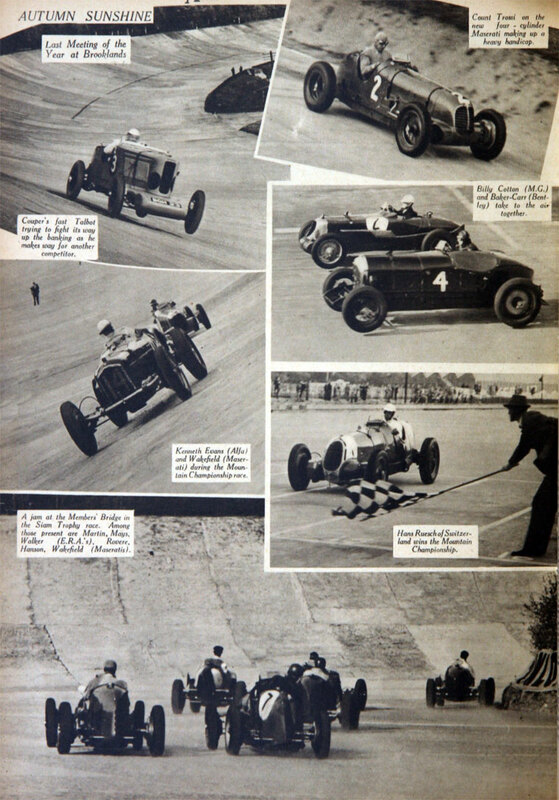 Brooklands took its name from Robert del Brok, who, in the 12th century, was Lord of the local Manor, and prior to becoming a racetrack had been bought in 1830 by Locke-King’s father, Peter King, from the then Duke of York. The Wey Navigation was excavated a mile to the west of Brooklands effectively making the site an island. An airfield was constructed on Weybridge Heath at the beginning of Britain’s adventure into flight, and was central to the birth of the British aviation industry. Locke King was spurred on by Selwyn Edge (1868 - 1940), an experienced racing driver and car dealer, to complete the project with his highly publicised challenge that he would drive the course in a Napier single-handedly at a constant 60 mph for 24 hours without a rest break. Edge was to complete his remarkable challenge on the finished track without mishap. 1907 23rd July. The 1907 R. A. C. Dust Trials were held. 1909 March. Opened new test hill. 1915. 22nd March. Flying accident where J. F. A. Kane was killed. 1915. 21st June. Flying accident where H. T. Lumsden was killed. 1916. 20th February. Flying accident where E. J. Radcliffe was killed. 1933. 2nd March. Subsidence of the track at the Cobham Bridge over the river Wey. 1946. January. 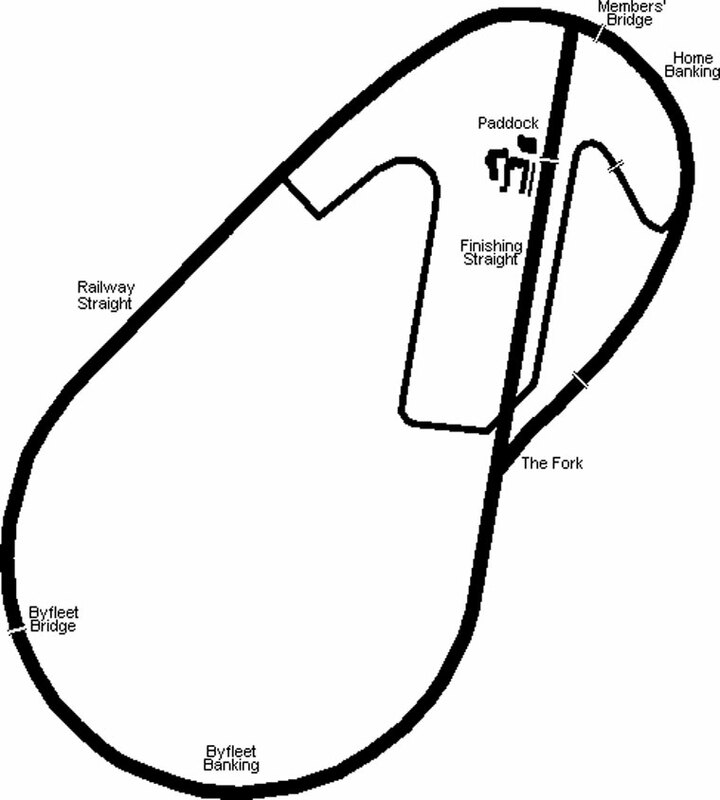 Protest over proposed sale of the track to Vickers-Armstrongs but sale completed.   . See Brooklands Airfield. In 1987 the site also become home to the Brooklands Museum, which is dedicated to preserving and interpreting the site's motoring and aviation heritage. A Mercedes-Benz museum and performance-demonstration centre is now completed in front of what is known as the Members' section of the remaining banking. 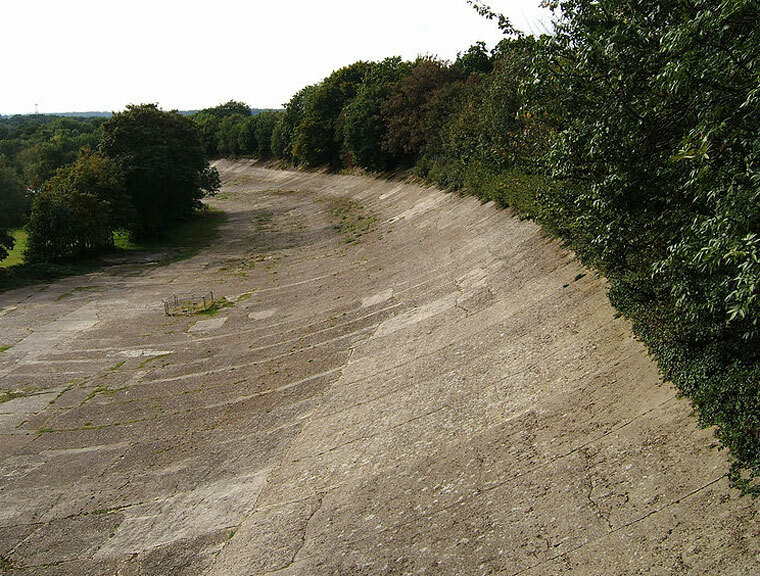 Contrary to public perception and thanks entirely to the efforts of The Brooklands Society, two thirds of the original track still remains intact. Mercedes-Benz has pledged to contribute towards the replacement of the Hennebique Bridge, the part of the banking that spans the River Wey. This page was last edited on 23 February 2018, at 01:07.